For a long while now 'local' search has been relevant to business. Google Local Listings (as they used to be known) represented an interested improvement to search engine rankings whereby contact information about the business was displayed directly in the results. Over time this has improved further with Google Local Listings becoming Google Places. Reviews were then present within the search engine rankings and these 'Places' had their own separate page on Google with contact information, an interactive map, photographs and easy access to directions. It was quickly obvious that Google Places listings were extremely important to business, especially where those businesses relied on local foot traffic to their brick-and-mortar store as well as online sales. Plus the Google Places listings are naturally more appealing, especially where they have reviews, representing a more enticing link to click (even over the listings in the no.1 spot). Businesses were recommended to have a Google Places listing as quite often these results appeared near the top of the search results and pushed sites that should rightly have the 3rd or 4th position further down the listings. Earlier this year, Google introduced Search Plus Your World, a move at trying to push Google+ into the market. The idea was to improve search engine results by making them more relevant to the user. You were more likely to see results based on recommendations by your friends or businesses you follow and those results would likely be more enticing as well. This is why we encourage people to have a Google+ business page and a marketing strategy that encompasses the social network. Now Google are going one step further and merging the two. Google Places is set to be replaced by Google+ Local. These are essentially Google Places listings within the Google+ platform; a swankier design, integration of reviews from Zagat and (eventually) linking with Google+ business pages means a far more enticing page for the user, especially when integrated into the search results. At the moment, businesses with a Google Places listing don't have to do anything as Google are automatically moving the data across. Images within Google Places listings are making up the banners in Google+ Local pages or, if there are none, a map of the location is being used. In the future Google say you'll be able to connect your new Google+ Local page and your business page and it's not had to see that this will be a great improvement. For now it's clear it's becoming even more important to have a Google+ strategy and ensure you have a local listing to make the most out of your search results. 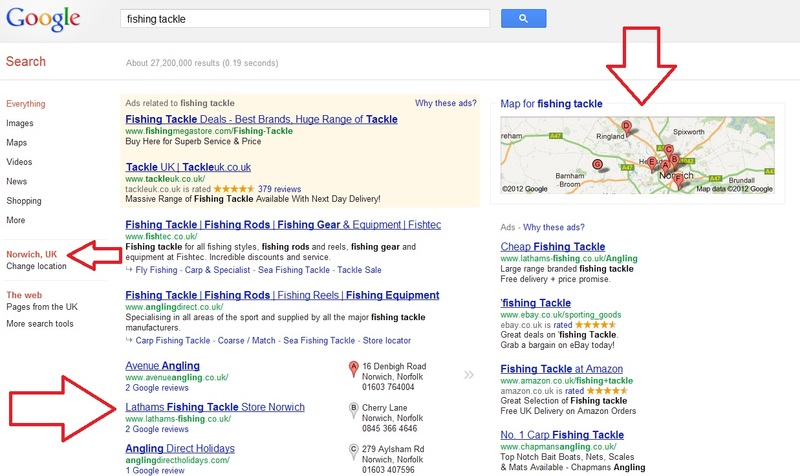 Search Engine Land has commented that 'local search also just got a lot more social', it's easy to see why.